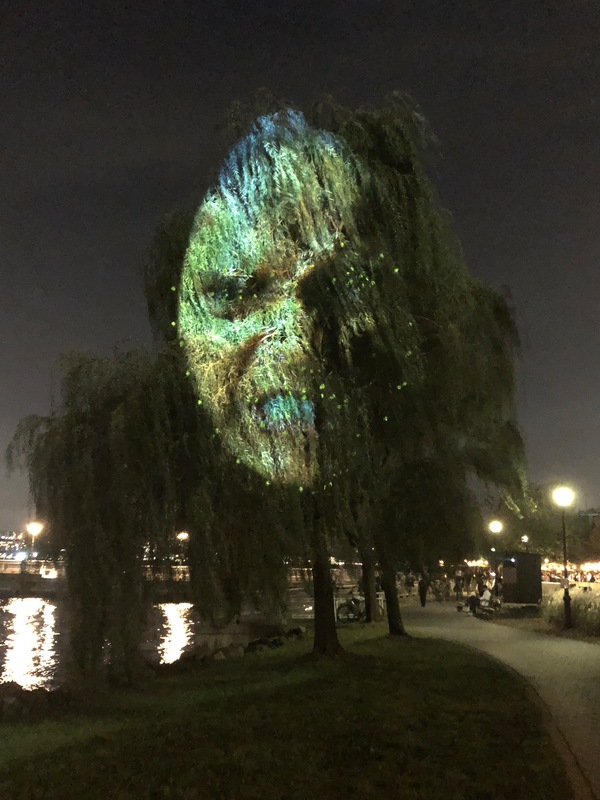 I recently had the awesome opportunity to create machine learning driven visualizations as part of the artist Tony Oursler's Tear of the Cloud public art installation. The show, put on by the Public Art Fund and on view from October 10 to October 31, 2018, is comprised of digital videos projected onto the landscape of Manhattan's Hudson Riverside Park South, the 69th Street Transfer Bridge Gantry, and the Hudson river itself. It's a crazy explosion of old technology, new technology, and characters pulled from the rich history of the Hudson River Valley, including Samuel Morse and the Hudson River School painters. 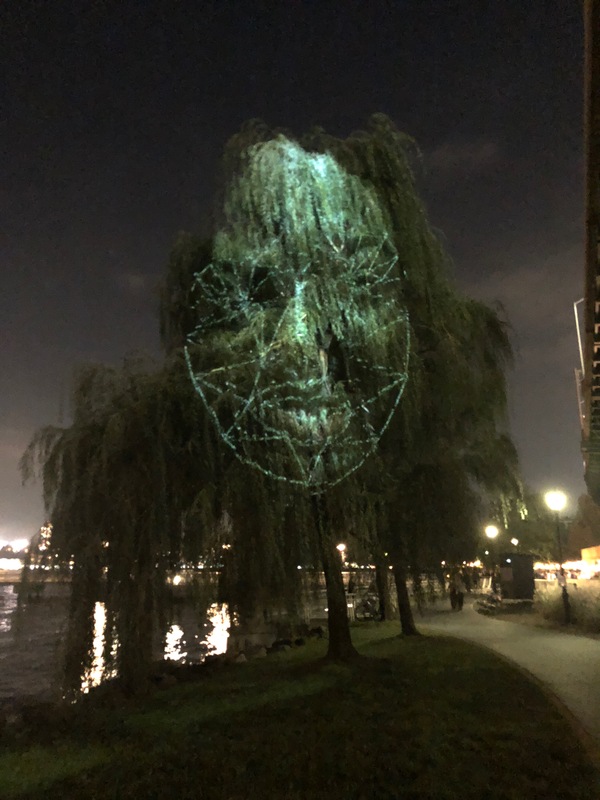 Using a 68 point facial landmark model, I developed moving facial recognition masks that are projected onto the city's finest willow trees. Check out a couple images of the masks and a video below. © James Dreiss. Hosted on S3.